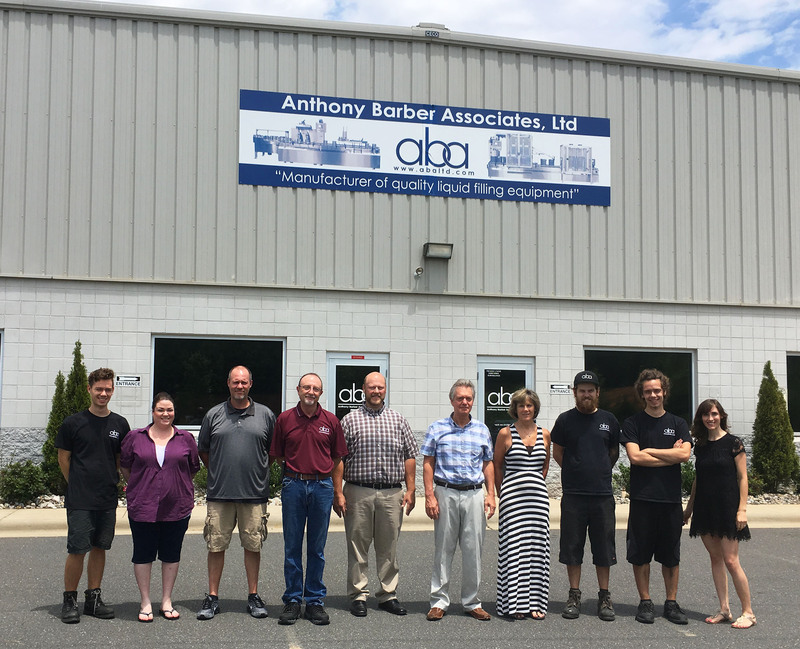 A Brief History of Anthony Barber Associates, Ltd.
ABA was started in 1991 by Anthony Barber as a supplier to the paint and chemical industries. With experience of European and US manufactured equipment, we started by supporting liquid filling machines in the US manufactured by Neumo, Ltd. and Thiele Engineering, Inc. Initially supplying parts and pump assemblies, ABA rapidly grew into manufacturing complete machines. The first packaging machine manufactured was a conveyor with roller lid press supplied to Kraft foods in 1994. Complete filling machines followed soon after. Our non-drip cone style fill heads are used with phenomenal success on ABA machines and most competitors machines. We manufacture volumetric and net weight liquid filling machines and stock and supply quality parts for Neumo/Thiele filling machines. All new volumetric machines have ABA designed, positive displacement, double acting volumetric piston pumps for speed and accuracy. ABA can offer custom machines at reasonable prices. We stock sub-assemblies for standard machines to improve delivery schedules. We now have machines running in the USA, Canada, Guyana, Dominican Republic, Venezuela, Mexico, Chile, Ecuador, Honduras, Costa Rica, China, Malaysia, Indonesia, the UK and Turkey (to see a full map of our machines across the world, check out our client list).